Backing up VMware successfully has always been a challenge. The introduction of the cloud ever increasing scale of VMware infrastructure continues to give backups fits and makes it even harder. 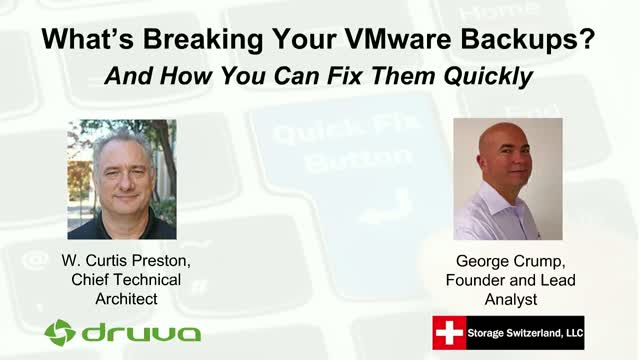 Please join George Crump, Lead Analyst at Storage Switzerland and our guest speaker W. Curtis Preston, Chief Technical Architect at Druva, for a discussion on the new challenges with VMware backups, and how to address them successfully.